Yet another new year of the Julian-Gregorian calendar. Our friends at the Pantone Color System have deemed “Mimosa", a bright yellow hue, as the official color for 2009. I like the name, as it is one of the perfume materials in the botanical and natural perfumers palette. Mimosa, an Acacia from India, exists in the form of an absolute for the perfume artist. Mimosa has a sheer quality which can easily get buried if not blended mindfully. The fragrance of Mimosa Absolute contains honeyed melon floral notes. There is another Acacia, Acacia farnesiana, termed Cassie which is quite lovely as well with a warm floral note that works well with wood, other florals and citrus. Mimosa is associated with protection, purification and dreaming. The dreaming aspect works nicely in terms of this being a Visionary year. In the aromatic sphere the color yellow is attributed to citrus notes. Read more about aromatics and color by following the link below. Last year the numerology of 2+0+0+8 = 10 translated to a number 1 year. One represents new beginnings and initiative. A great time for pioneering and putting forth new ideas. In America we elected a new President in 08 while here at the Villa Spalenka Maestro Gregorio and I dashed up to Topanga State Park and got married. More on that later, here is a little picture from our secret ceremony on Saturn Day, December 27th, under the auspicious energetics of a New Moon. so lets stay in the moment and in love. I’ve posted a link below to some really terrific information on this 2009 Master Eleven Year. For this Mastery Year, I intend to continue facilitating greater awareness of the value of our plant kingdom, utilizing my skills as a visual and aromatic artist. Image one, Engraving on parchment, image two...Gregory and Roxana in Topanga State Park, courtesy of Peleg Top. Dear Roxy, what a beautiful picture! Romantic...it looks like a photo from a catalog. Mimosas.....I love them, we have acacias here blossoming in such a splendor...bright yellow gold...amazing! yes indeed...it was a very romantic moment and day. i get really happy when i see the picture. will you be posting pictures of the mimosa trees blooming in brazil? i'd love to witness the splendor. Congratulations, Rox! How romantic, running to the top of a mountain on a new moon ~ and the picture speaks a thousand words, of course. We started the ceremony in an oak groove and then moved on to the top of the mountain. A definitive moment in 2008 fer sure. Thank you for your contributing your lovely thoughts. Thank you Faith, cheers to a divine 2009! I've just discovered your lovely blog. Thank you! Heres to a wonderful 2009. The picture is beautiful, but especially because of the beautiful countenances. Thank you for sharing your joy...and congratulations on such a meaningful commitment. Welcome to Illuminated Perfume, a pleasure to have a new reader. 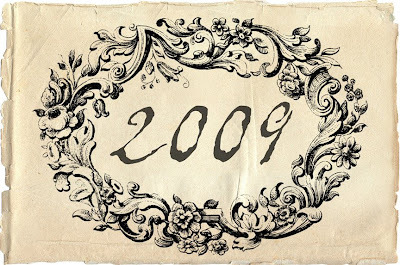 Wishing you a very happy 2009! Thank you for your good wishes Shelley, much appreciated. More pictures with details to follow soon. What a lovely picture, reminding me in Medieval Times, the Middle Ages courtship and "Minnedienst". I wish you two a 2009 full of energy and love. Of course you would see the "Minnedienst" correlation Andy! If we have our way we will have a party that resembles a Renaissance Faire and the painting Spring by Sir Lawrence Alma-Tadema. Belated congratulations on your union... joy, love and harmony to you both! Joy, love and harmony to you as well.